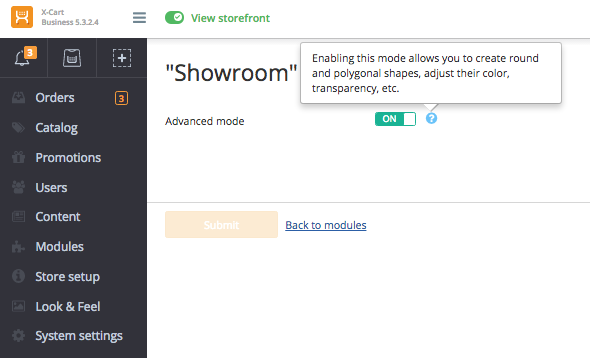 Convert a category image into a clickable Showroom - show your products in action! This is a great tool for furniture stores, as well as for apparel and fashion industry. Combine your products to make collections, show how perfectly they match, convince your customers to buy more with this lovely marketing trick. 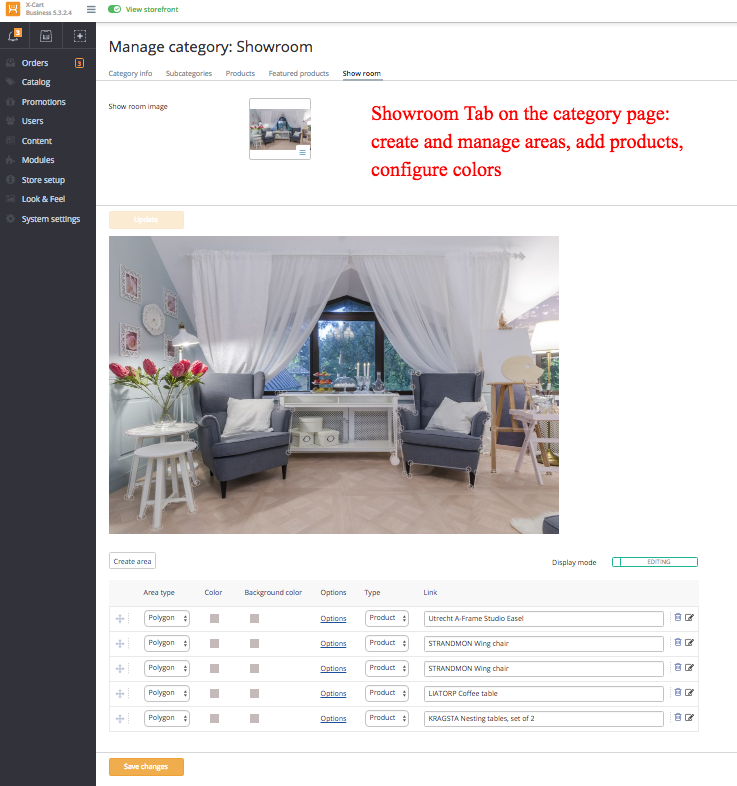 Upload a category image, that is “a group photo” with your products depicted in the most attractive way. Define product areas on the image with an easy-to-use wizard. Add pricing, titles and links to each area. That’s it! 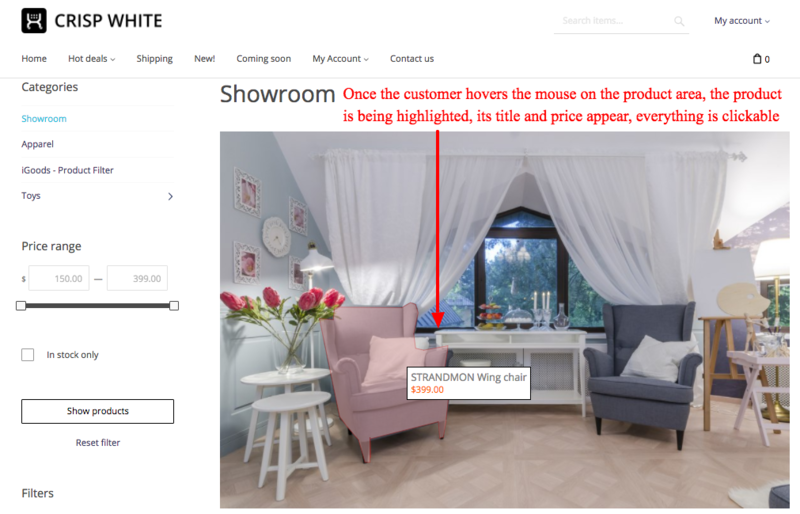 This information will be shown as a tooltip when the customers hover their mouse over. 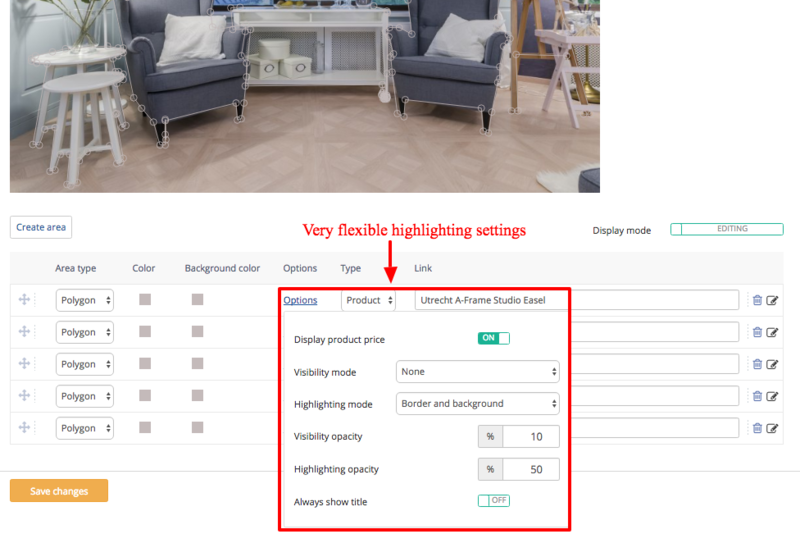 Everything is clickable of course - upon a click on the product area of the photo, the customer is redirected to the detailed page of a product or category. Convenient and flexible area shape selection: it can be rectangular, round, or custom. The areas may be easily moved or removed on the fly. 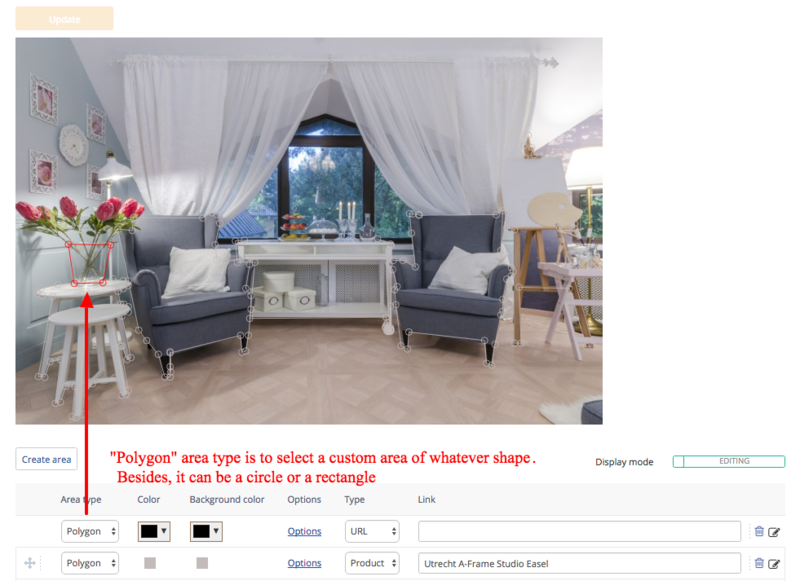 The areas can be linked to a product, category or any custom page.